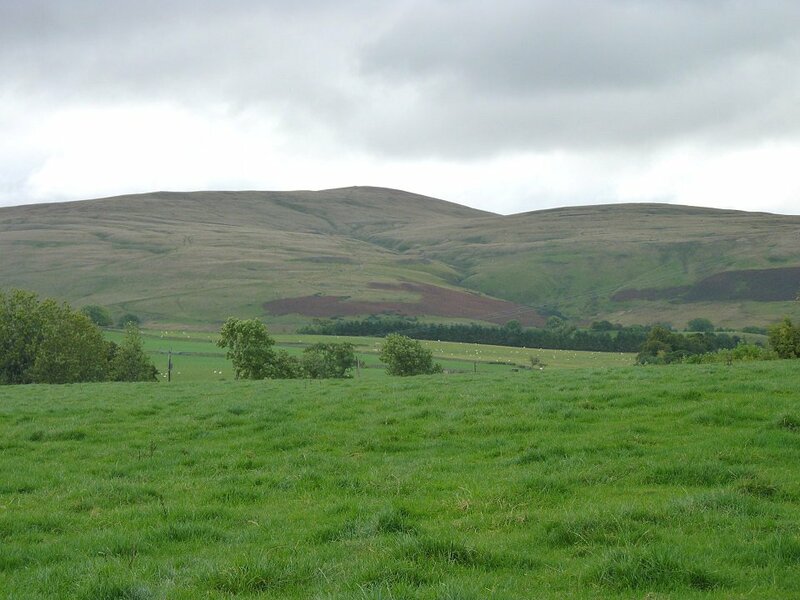 This is a walk that I had planned for a while and when I saw that we might be having a few days of settled weather I decided to have a a go before winter sets in Andy drove me up to Caldbeck a pretty little village in the northern lakes about 8 miles from Penrith. 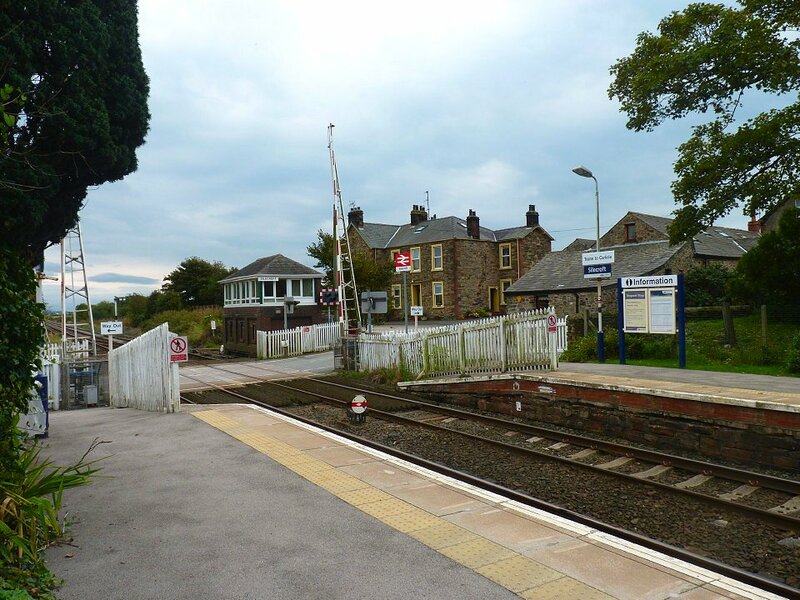 The weather was cold but fine as we had a cuppa at a tea shop and then Andy left and of I set along the Cumbria way heading for High Pike. Looking up to High Pike my first fell of the day. 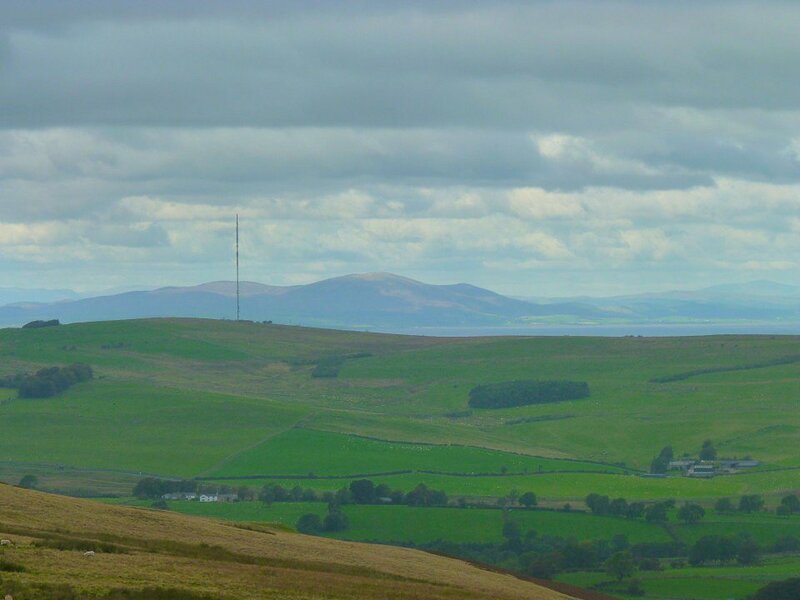 The air clarity was very good and the views over to Scotland were very clear. On High Pike now. 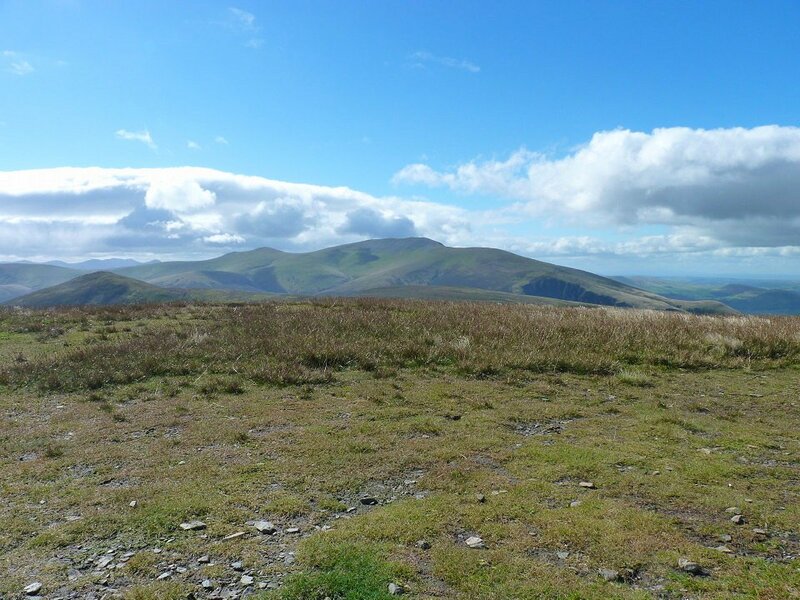 I have not been out walking for a few weeks and I was blowing a bit hard going up the hill which was a bit worrying as I thought of the steep ascent of Skiddaw that was to come. That's Skiddaw in the distance but first I had to get over Knott which turned out not to be too steep but was hard work slogging through the bogs. Skiddaw from Knott. The weather was changing by the minute now and just after I took this photo a brief freezing cold rainstorm came over. 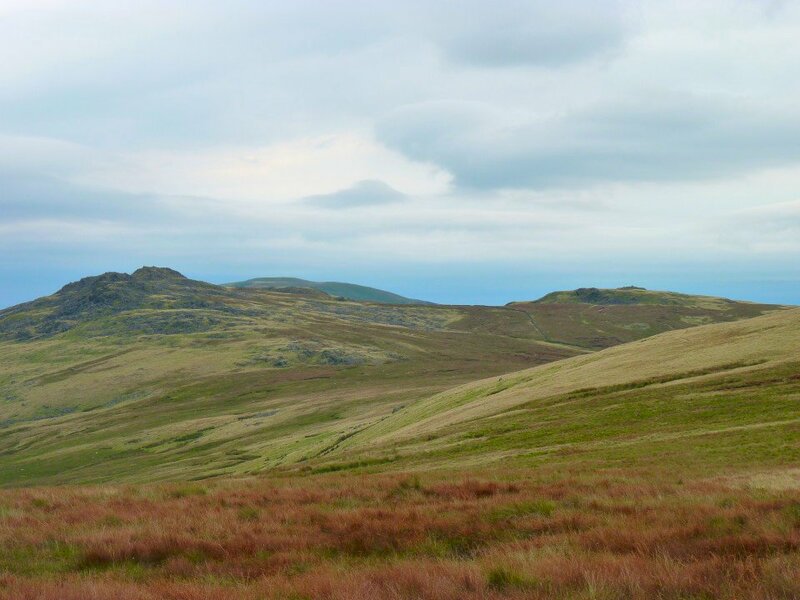 After the very steep drop of Little Calva I started on the equally steep climb up Birkett Edge to Bakestall and Skiddaw. 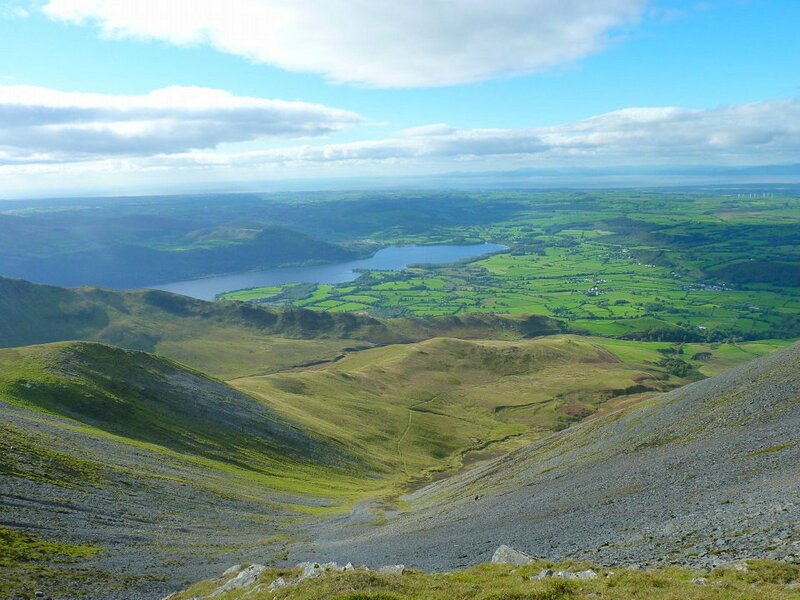 This is looking over to Blencathra from one of my many rest stops on the climb. 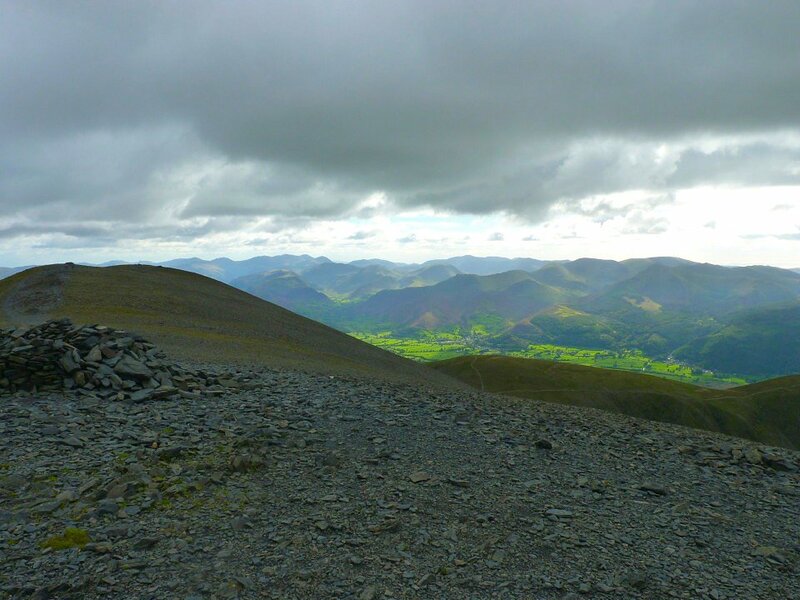 Blencathra and Lonscale Fell from the not very exciting top of Bakestall. 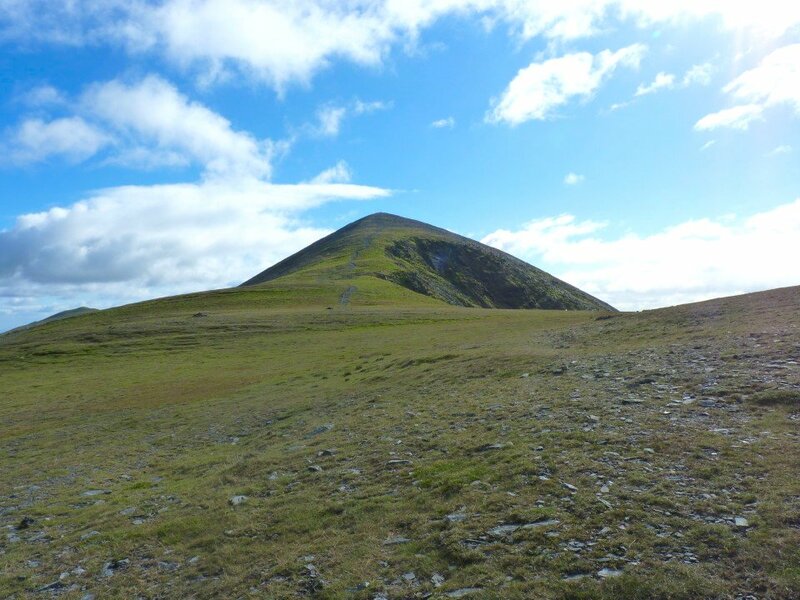 Just the last climb up to Skiddaw summit now. I must have regained my walking legs, and as I didn't exactly run up I made good progress up to the top. Looking down Barkbethdale to Bassenthwaite lake and the sea. 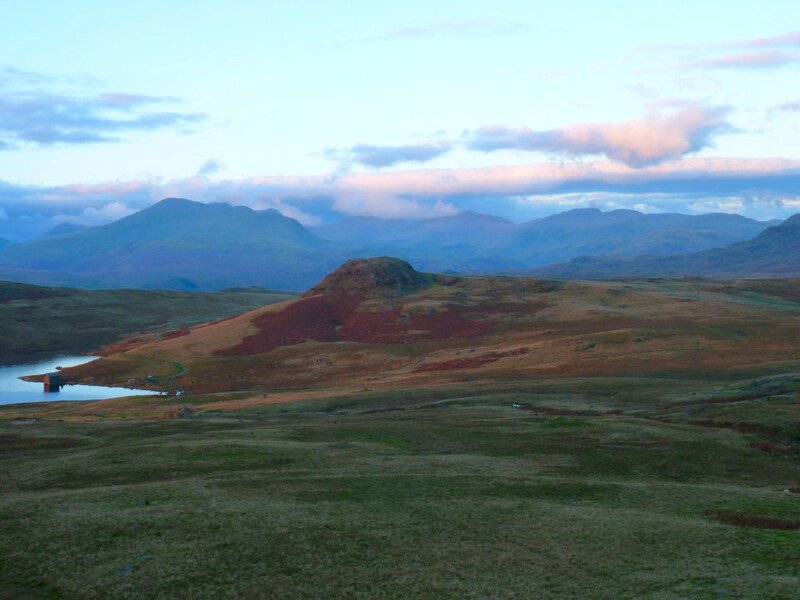 Strange early evening light and vast array of fells from Skiddaw. Keswick down below. The hard surface of the "tourist" path really was hard on my feet and they were quite sore when I reached the youth hostel. I was a bit concerned that sore feet might make the walk very uncomfortable but by the next morning they were fine. 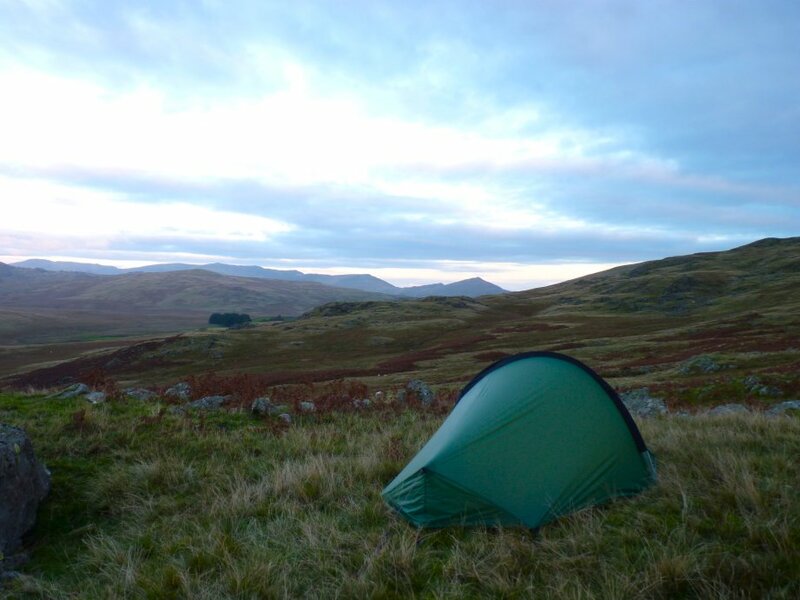 Keswick youth hostel. 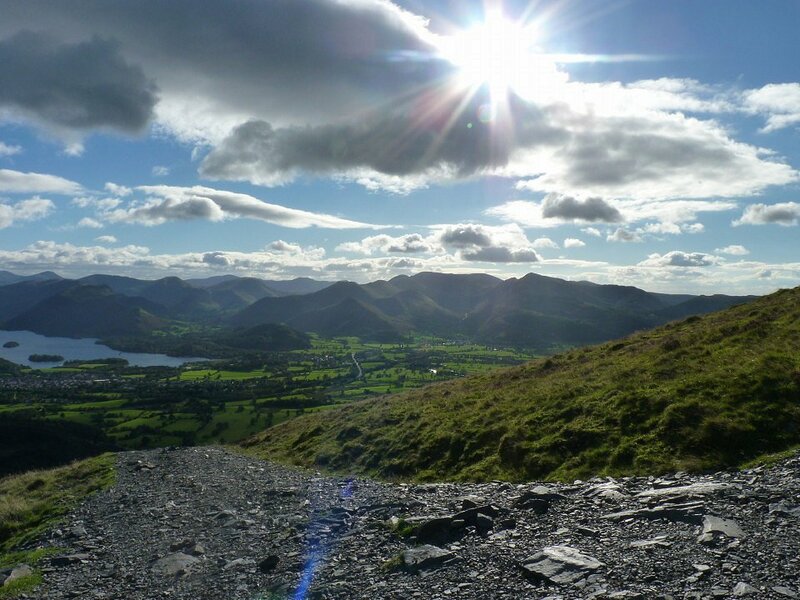 Saturday morning was lovely as I set of through the streets of Keswick then up to Walla Crag and on to the very boggy central ridge. 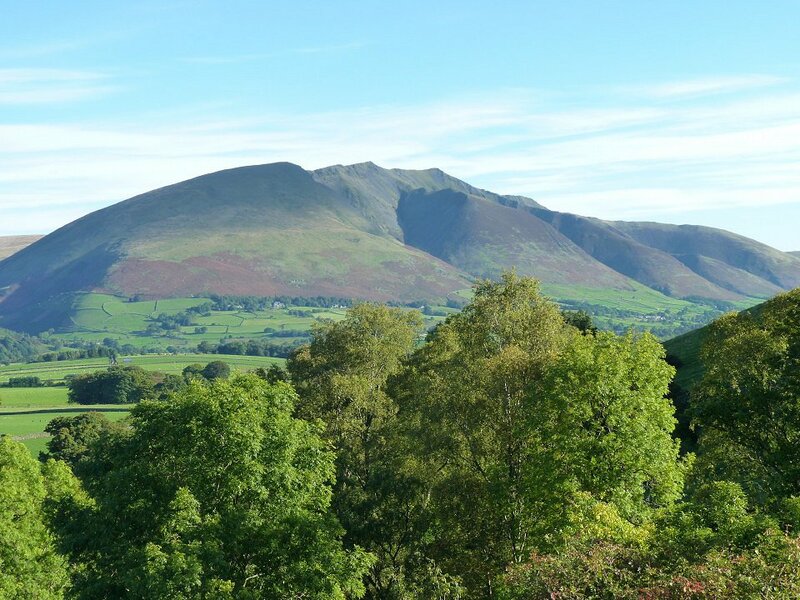 Blencathra from the "front" this time. 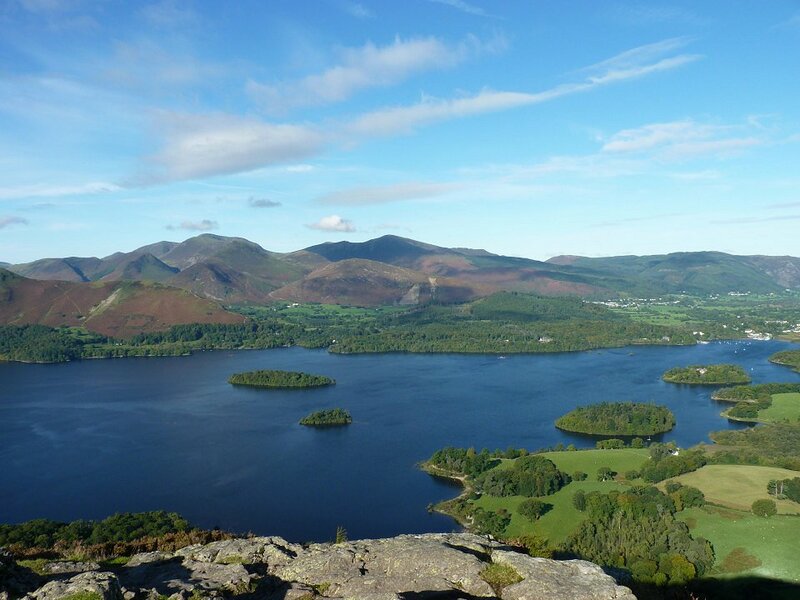 Looking down to Derwentwater and the North Western fells from Walla Crag. 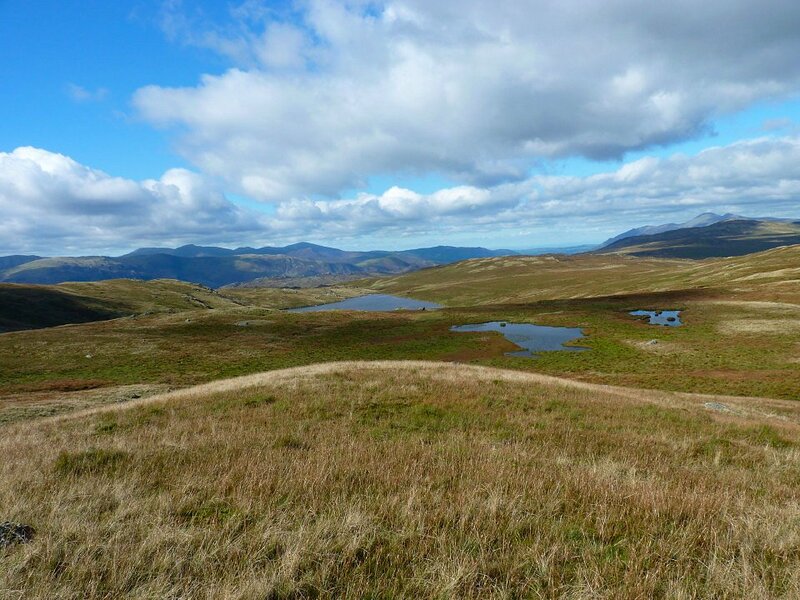 Looking down to Blea Tarn, Skiddaw in the distance on the right already seems a long way away. 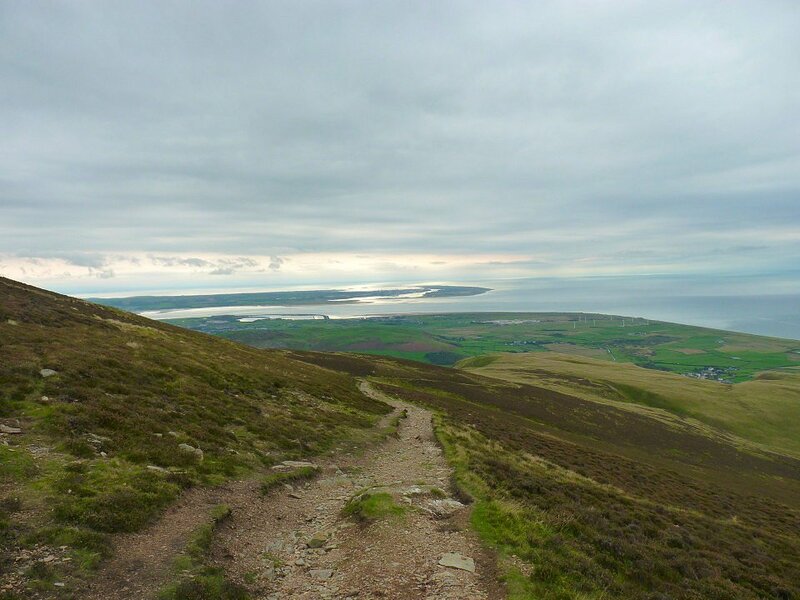 The section from Walla Crag to Ullscarf was the hardest of the whole trip. 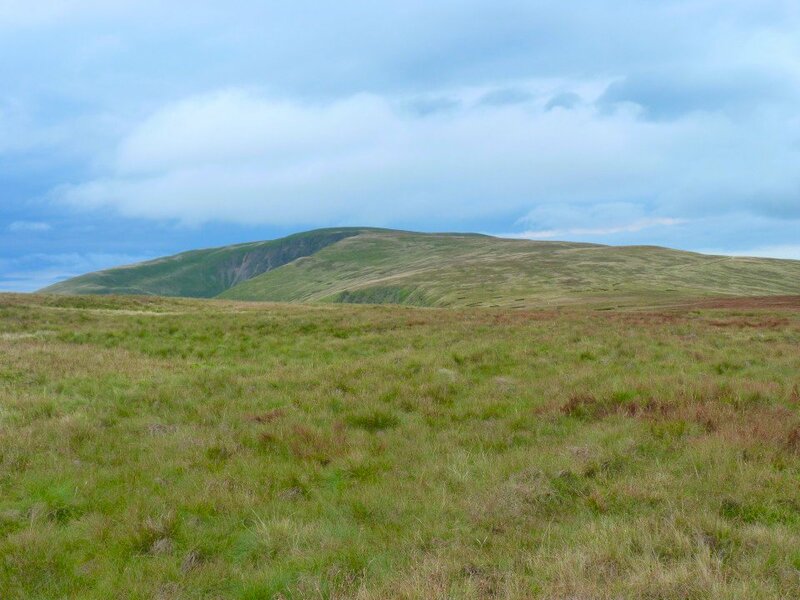 First comes the nasty little climb to Bleaberry Fell and then although there are no steep hills the battle with the bogs and the constant zig-zaging needed to avoid the worst of them seems endless. Eventually the ground improves a bit as you pass Blea tarn and the little climb up Standing Crag comes as a bit of a relief. 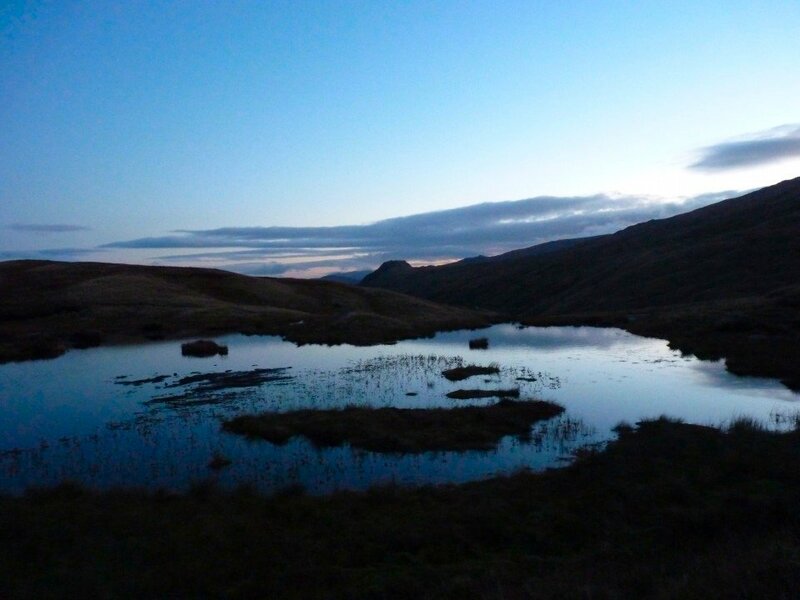 The climb up High Raise was a bit of a tester though and I was glad to make it to the little tarn at the top of Stake Pass. The end of a very tiring day. Dawn on Sunday morning. 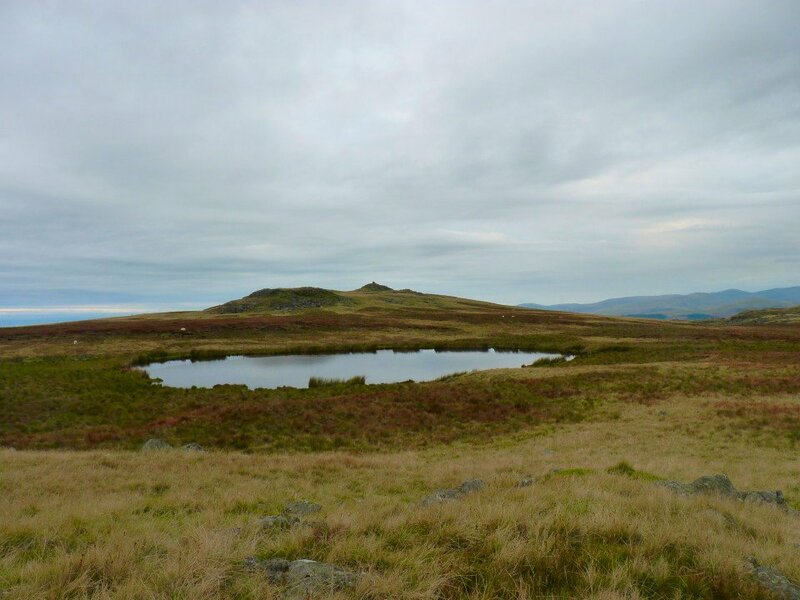 By the time I had struck camp and set of walking the cloud had come down and I set of for Angle Tarn in dull conditions. 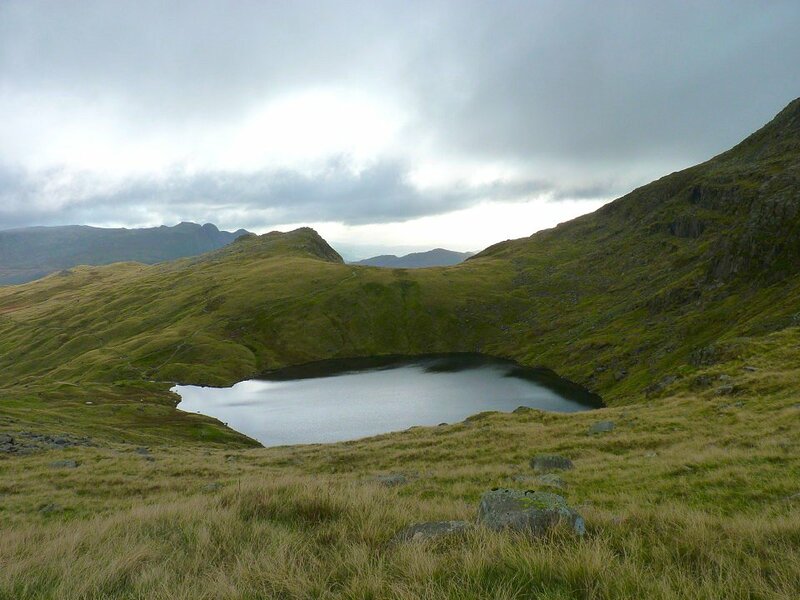 Angle Tarn from the climb to Ore Gap. 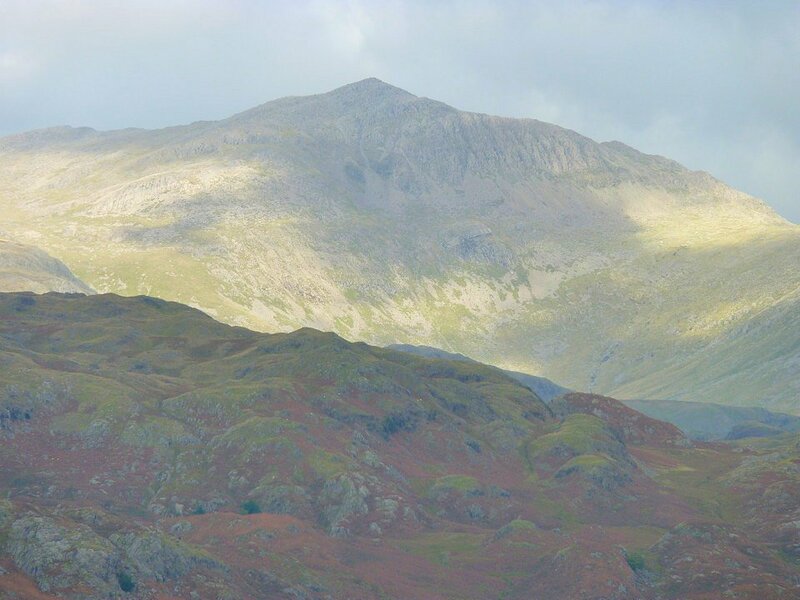 As I descended into upper Eskdale there was a complete change and Sunday turned out to be a lovely late summer day. 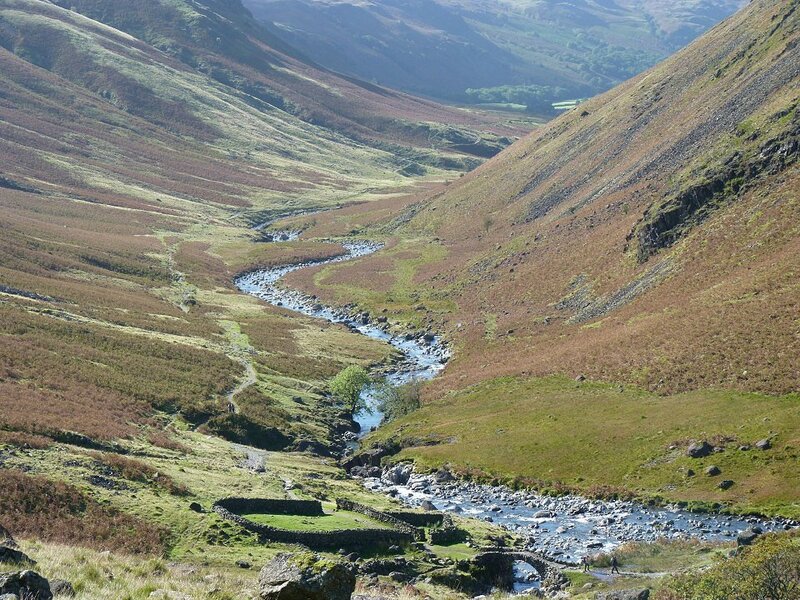 This picture is from the old sheepfold on the drop down by Yeastyrigg Gill. 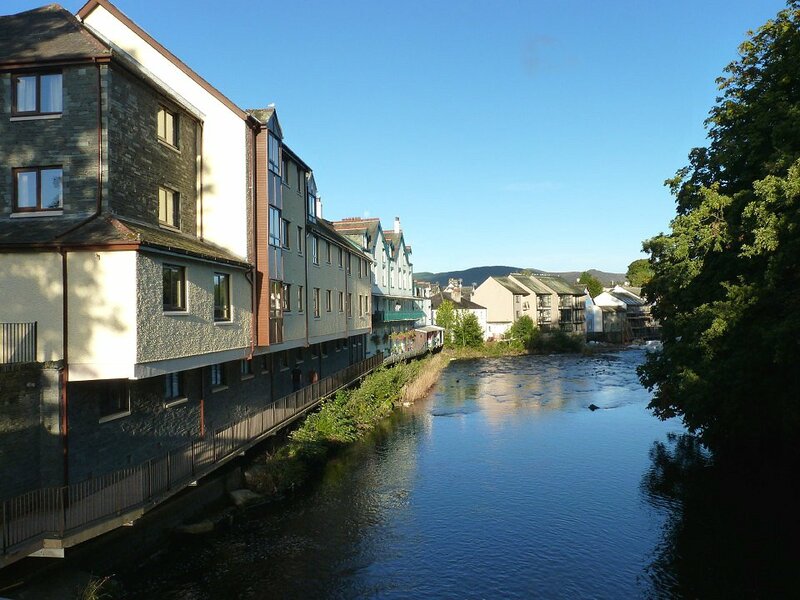 Lingcove Bridge and the river Esk. 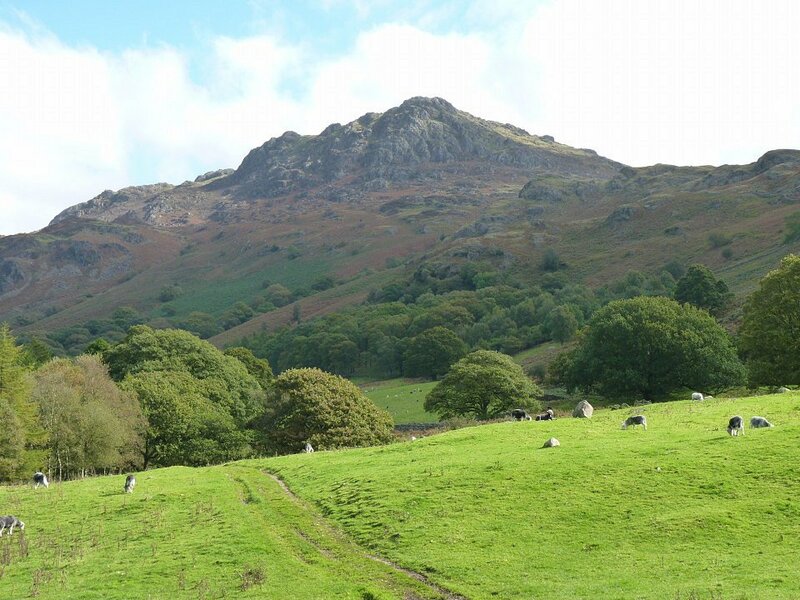 Harter Fell from the path that runs down through Eskdale on the South side of the river. 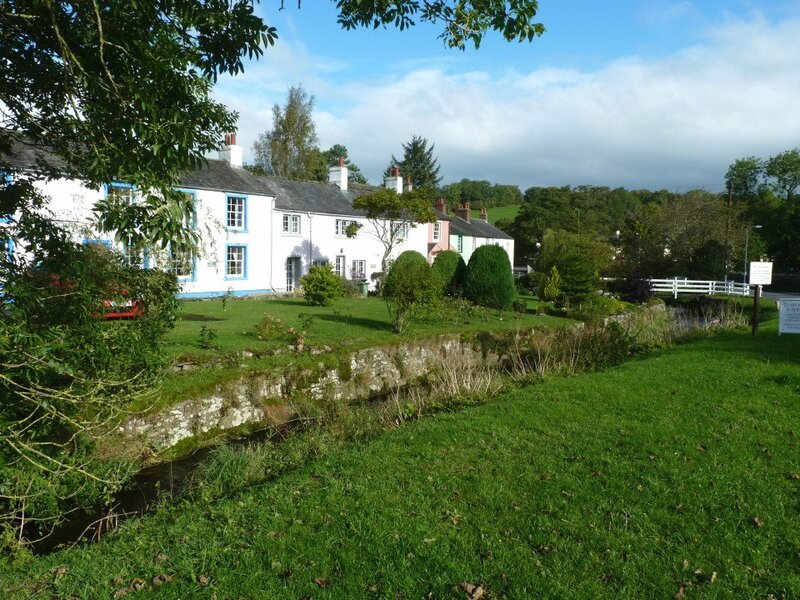 Penny Hill farm looks grand in the afternoon sun. 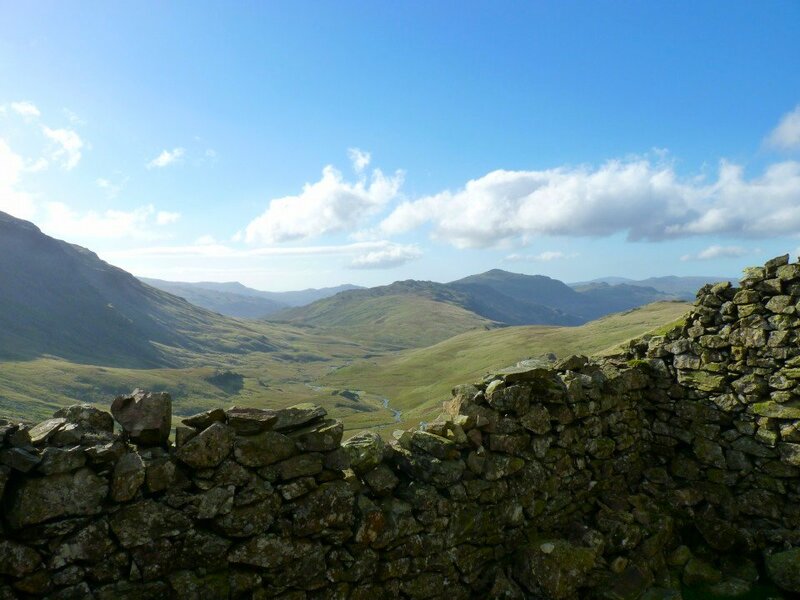 Mighty Bowfell from the Birker Fell road. Not a bad view from my camp. Monday was fine but dull. 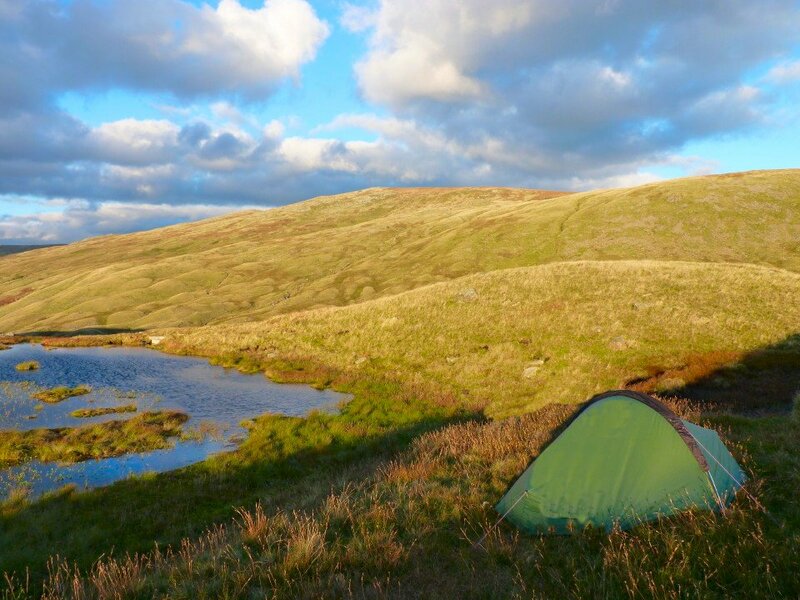 I set of up the hill and threaded my way through the little fells above Devoke Water. 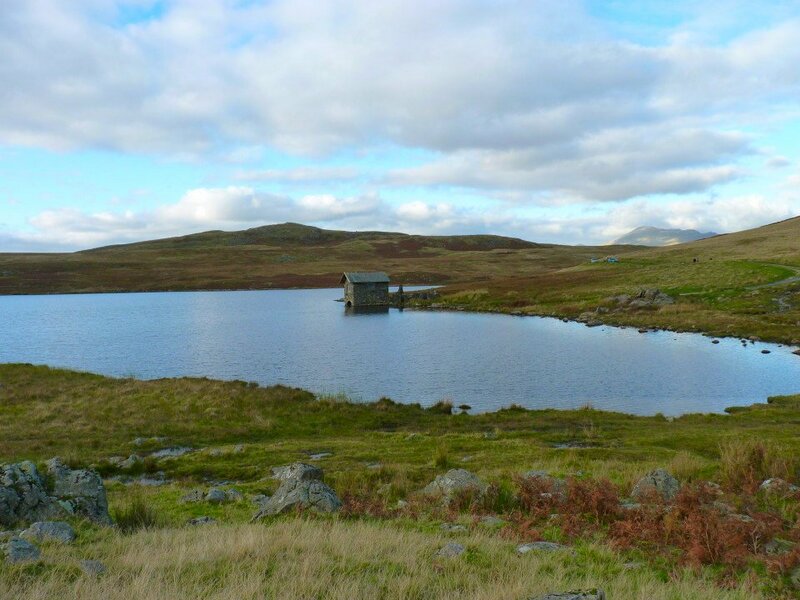 This is Holehouse Tarn with Stainton Pike behind. 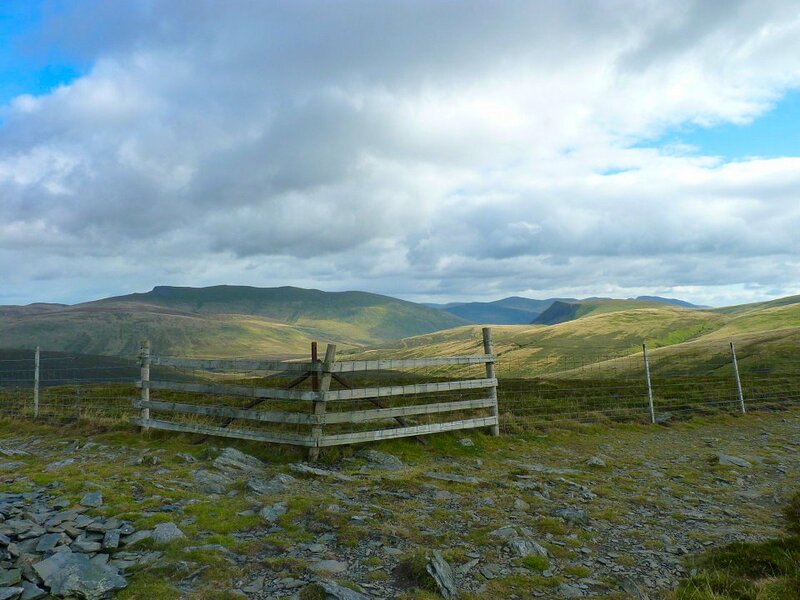 In planning my walk I had intended visiting these outlying fells but now I was just taking the easiest way, but knowing there was one obstacle I couldn't avoid before I had finished. And there it is. 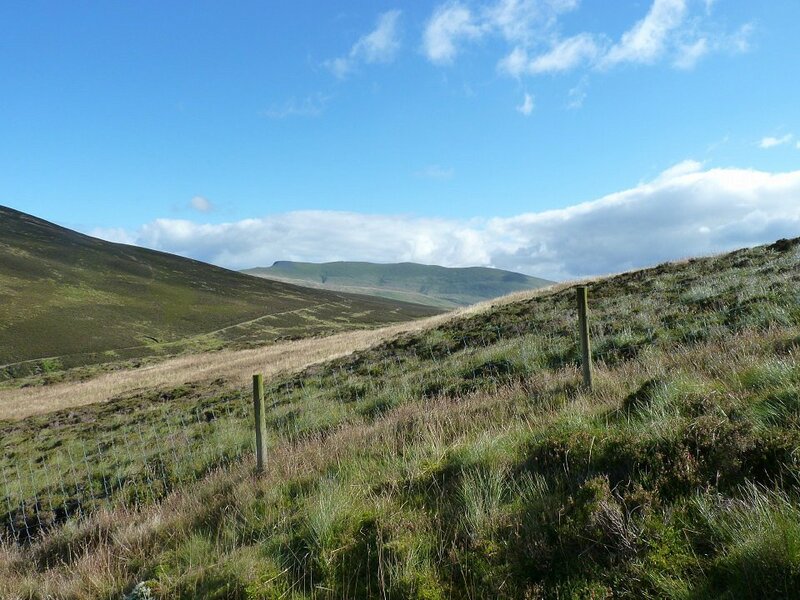 First sight of Black Combe seen between Kinmont Buck Barrow on the right and Buck Barrow on the left. 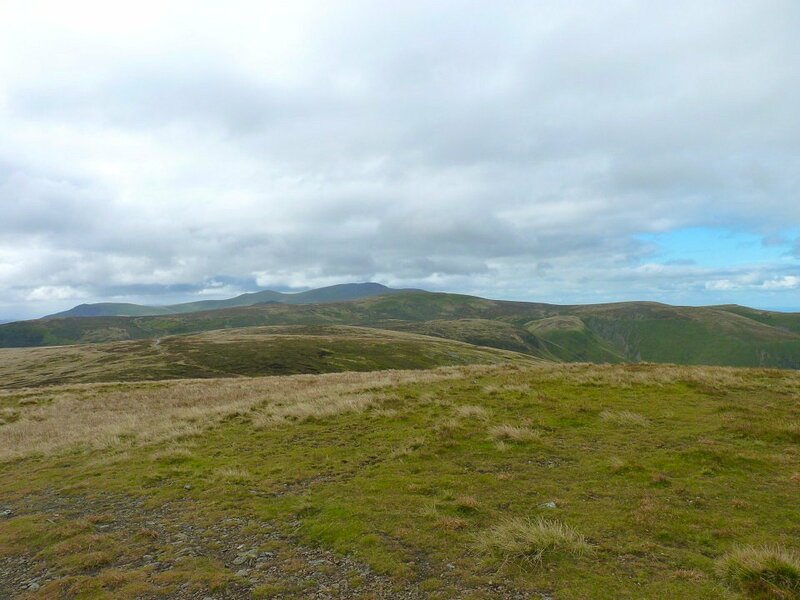 On Stoupdale Head now and only Black Combe left to climb. 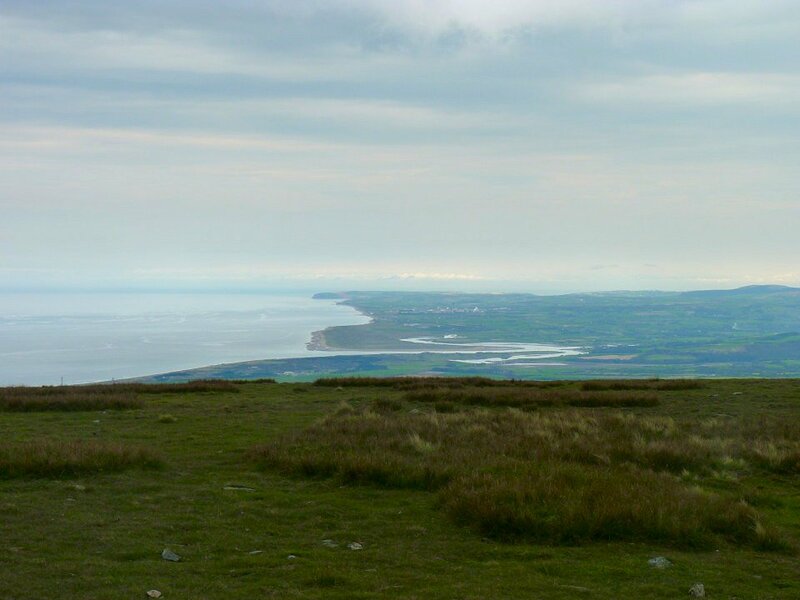 Looking up the coast from Black Combe. On the descent now looking over to Millom. The end. 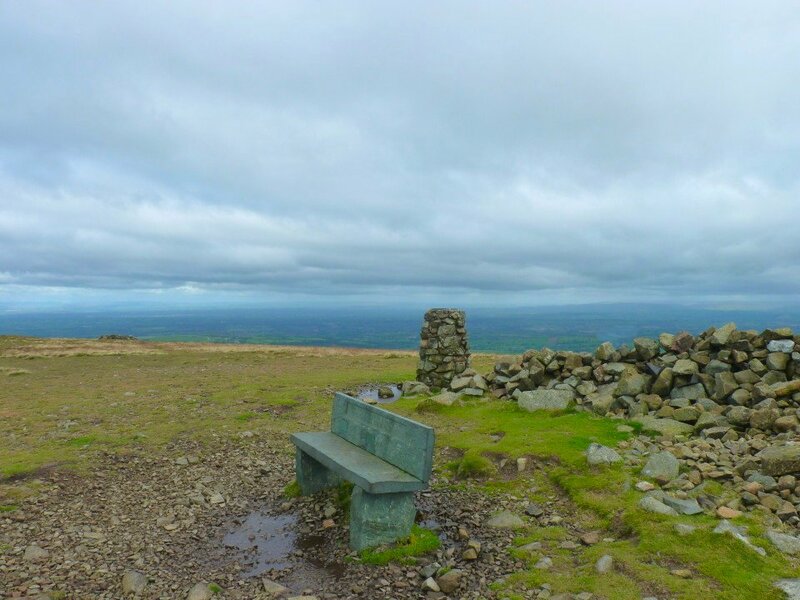 About 52 miles, 12500 ft of climb, no blisters and apart from 5 minutes on Knott, no rain.